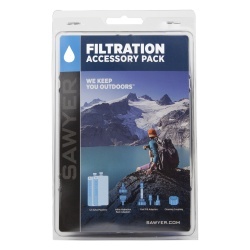 Add more water carrying capacity to your Sawyer water filters with these multi-pack replacement pouches, compatible with the Sawyer MINI and Sawyer Point ONE water filters. 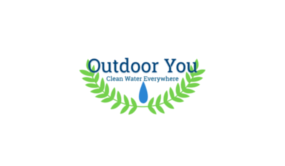 Available in 16-, 32, and 64-ounce capacities, fill them with water from lakes or rivers or under faucets. 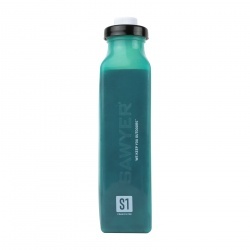 The Sawyer SP113 Squeezable 32 oz. 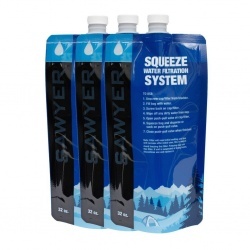 Filter Pouch 3 Pack is a three pack of 32 ounce replacement pouches for the Sawyer Squeeze Water Filter System. 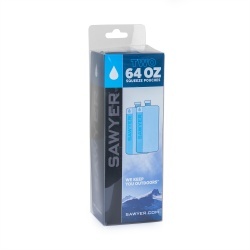 These Sawyer pouches can be filled in lakes or rivers, or under faucets. 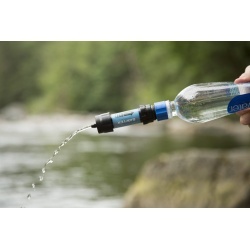 The Sawyer SP113 attaches directly to the tapered Sawyer filter to filter the drinking water. 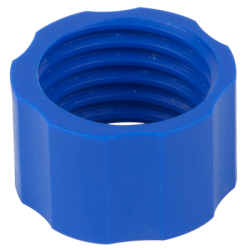 These pouches can be collapsed and rolled up for portability. 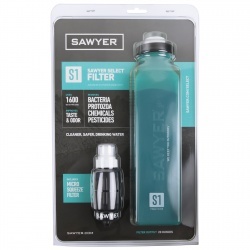 The Sawyer SP114 Squeeze Water Filter Bottle – 2 Pack is a two pack of replacement pouches for the Sawyer Squeeze Water Filter System. 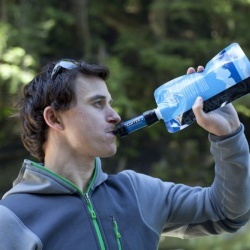 These Sawyer pouches have a two liter capacity for holding water and can easily be filled in any lake or river, and under a faucet. 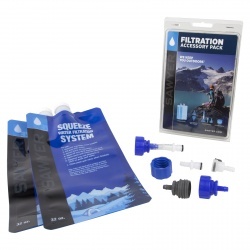 The Sawyer SP114 attaches to the Sawyer filter to purify the drinking water. These pouches are able to be collapsed and rolled up for portability. 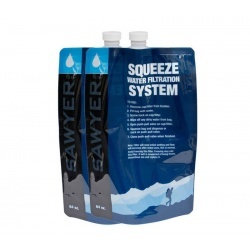 The Sawyer SP116 Squeezable 16 oz. 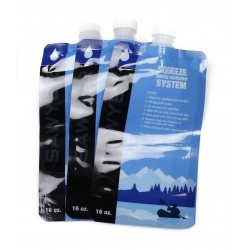 Filter Pouch 3 Pack is a three pack of 16 ounce replacement pouches for the Sawyer Squeeze Water Filter System. 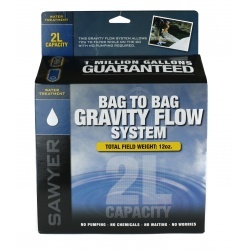 These Sawyer pouches can be filled in lakes or rivers, or under faucets. 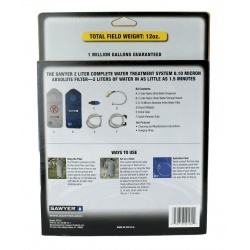 The Sawyer SP116 attaches directly to the tapered Sawyer filter to filter the drinking water. These pouches can be collapsed and rolled up for portability.